yes, this happened. no, i do not regret any of it. 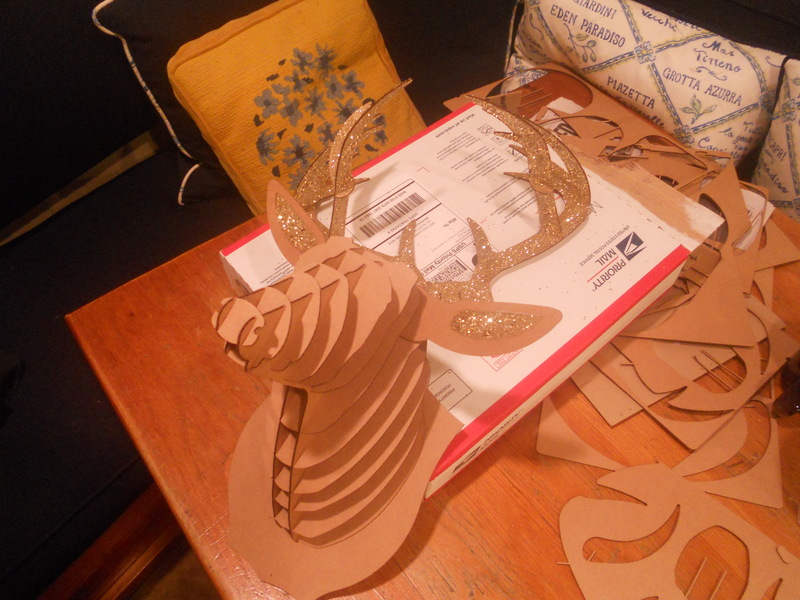 i purchased a medium sized cardboard deer head from cardboard safari and went to town on making him “meg-style.” basically glitter can make anything better in my opinion, but there’s a fine line between tasteful and overload. bucky here toes that line and that’s why i love him. 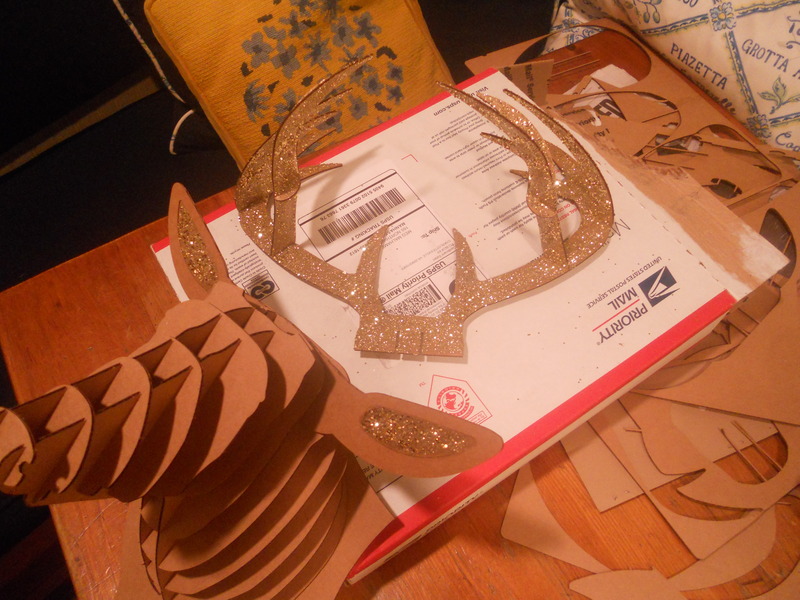 assembly was so simple, all i added was some gold paint on the antlers and a part of the ears. sprinkle fine and coarse gold glitter on top and you’re good to go! he’s situated happily on my wall, which i’ll be showing you guys soon!